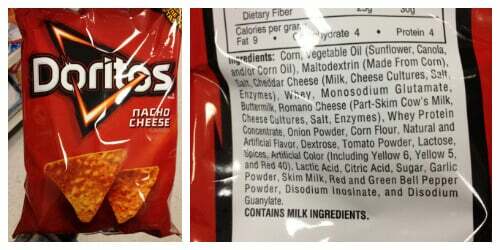 Artificial food dyes are unfortunately in quite a lot of processed foods. 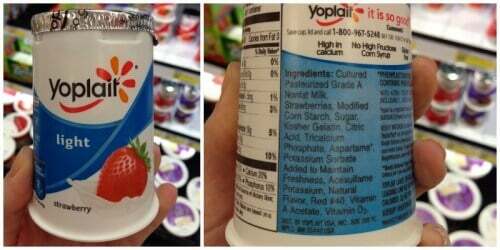 I’ve already shared all the reasons I hate them, but today I want to share the names of the FDA-approved dyes so you can look for (and hopefully avoid) them in food products. Note: This is the “currently approved” list because, unsettling enough, the approval status does change. 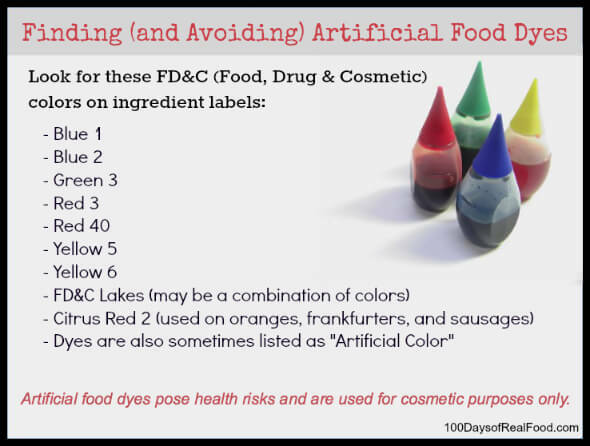 The following FD&C color additives are either no longer authorized or restricted for use – that’s right the FDA once thought these seven food dyes were “safe” but have since changed their minds: Green 1, Green 2, Red 1, Red 2, Red 3 (still used in food, but no longer in cosmetics or external drugs), Red 4, and Violet 1. 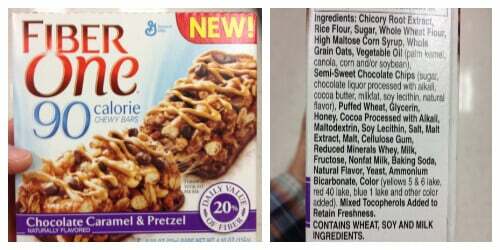 In fact, if you look at food, drugs and cosmetics in total there are 91 different dyes that were once approved and are now no longer authorized or restricted for use.In the UK artificial dyes are allowed for use, but require a warning label stating, “May have an adverse effect on activity and attention in children.” So, as a result, food companies have mostly switched to natural dyes in order to avoid slapping a warning label on their packages. 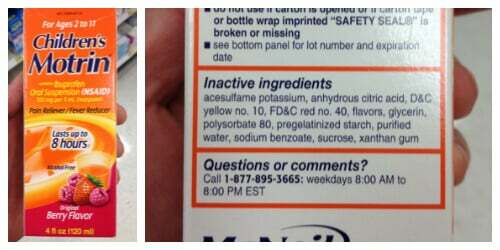 Even though these dyes are still widely used in the US, I did find this statement on the FDA website, “Exposure to food and food components, including AFC [artificial food colors] and preservatives, may be associated with behavioral changes, not necessarily related to hyperactivity, in certain susceptible children with ADHD and other problem behaviors, and possibly in susceptible children from the general population.” I’d also like to share a link to a really interesting science experiment conducted by a kid who tested the effects of yellow dye in mice. The results are rather astounding…click to see for yourself! What was once reserved for colorful, celebratory cake frosting is now lurking on almost every shelf in the grocery store. In fact, consumption of food dyes has increased 5-fold since 1955 (up from 3 million to 15 million pounds per year) – 90% of which is from Yellow 5, Yellow 6, and Red 40. This is one of the many reasons why the argument that we grew up eating this stuff and turned out “just fine” doesn’t hold up – processed food has changed (and continues to change) since we were kids. 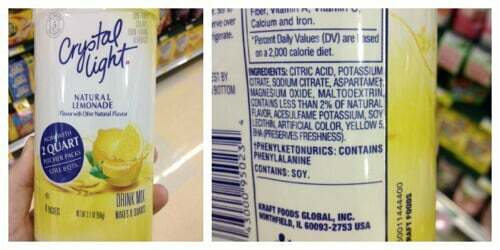 So nowadays unless you shop somewhere like Whole Foods or Earth Fare (supermarkets that don’t allow products with artificial dyes), get ready to do some label reading in order to avoid the above list on your next shopping trip. 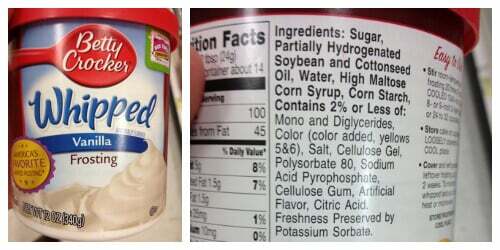 Have you found artificial dyes lurking in surprising places? Please let us know in the comments below. 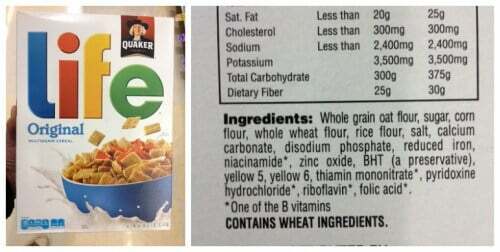 Do Moms Know Why Artificial Dyes Are Bad? Our child has Night Terrors 100% of the time she consumes Yellow #5 and/or Red Dye 40. It is absolutely horrifying and mentally and emotionally draining. 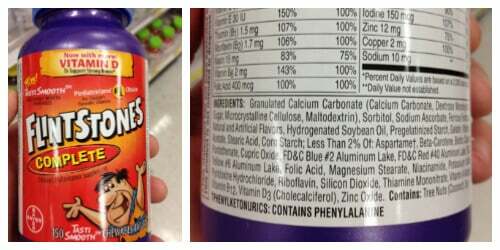 We first saw this with 1 flintstone vitamin, the paramedics said to us watch out for the dyes. We never had an instance in 13 years and now this. Now we cook all of our own food and have her on a majority carnivore diet, not by our choice, this is what she feels safest eating. When she is eating clean she has absolutely no issues and is the happiest child. We accidentally let our guard down last night and ordered from a restaurant, and that’s when it happens… 1 ingredient they do not tell us and that was all it took… Always be on Guard, never become complacent… Maybe it was an ingredient in it but we gave our child Kobe beef, I never seen beef so red before it was like the burger was medium rare which she did not like, she took 2 bites and didn’t want it so we cooked our own food for her. But damage was set, even a few drops of marocchino cherries is enough to change our worlds for the next 12-18 hrs. We hope this helps someone. 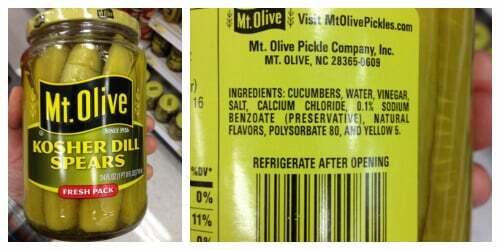 Read all labels every single time just in case something changes. I had a 12 yr old in my daycare. When ever he came of the bus with a red face we knew he’d had a red dye. He became extremely violent. It was scary.